Maybe you know Monsters of Terror? Unfortunately, I cannot change options on my CD32, because the menu can only be controlled with KEYBOARD! Plan: Create Monsters of Terror V1.1 with 100% joypad control. I already found the source code on an old disk and successfully reassembled everything. Last edited by Lazycow; 04 June 2017 at 18:27.
one of my all time favs - wizard of wor - your version is a worthy successor. Maybe add some nifty FX, like parallax floors or screen wobbling or zooming or other things like that. Should be an enhanced version for the CD32 at least, i think. "Monsters! I hate them!!!" "Got it!!!" I simply love this game (and Wizard of Wor of course). I've played this game with friends many times for a quick 2-3-4 players game it is great even with people that are not used to playing videogames. I've found a few bugs, though, sometimes a character is stuck in a direction, it is a known bug and it would be nice to fix it. Other bugs are that extra lives left from the fly (Terrox) aren't added to your lives. When you start dungeon 6 you don't have anymore any extras (W,S,F) that you got in the previous dungeons, I think that this is a bug too. The game is really nice but with a bit of "debugging" it could be even better, let me know if you want me to help you testing your "work in progress" versions on my A1200. Unfortunately I don't have a CD32. It would be great to write your name when you achieve a good score and to have an High Score table. Last edited by liviux76; 21 May 2017 at 13:28. The CPU players are a bit stupid, they just die in a short time and don`t come back. Nice would be to have samples separate unpacked instead of one file. So someone can simply replace them if he likes to. System friendly startup/shutdown code and quit to WB. Here it just crash from WB (A1200 040 3.1). Or a WHDLoad slave for it. Wow nice.. CD32 pad support would be great. is a level editor a hard thing to add? The joypad controlled menu... Better? Next up: trying to isolate some bugs. @Reynolds: I think I made a tiny level editor over 20 years ago. But I don't plan in include an editor. (The level structure is not that important, isn't it?) Anyway, if you have some cool ideas for new levels and if you want to make them, then tell me. I might look if I can find the editor. Looking good! Any updates Lazy Cow? Also how's the plan for publishing your other Amiga games coming along? Thanks for working on this great game lazycow! Also how's the plan for publishing your other Amiga games coming along? @hipoonios: Arcade mode? What would be different? Great news! I can't wait to try it! 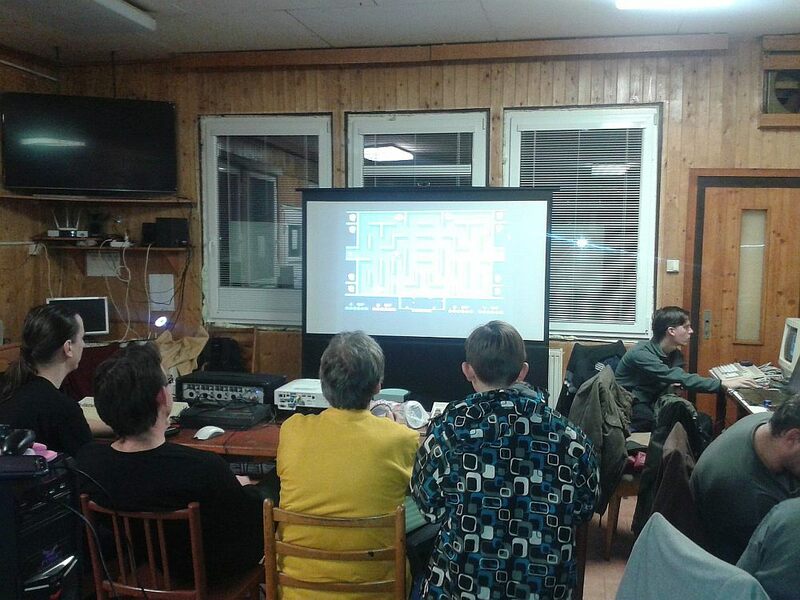 What did we play last weekend on Amiga Party? One of Lazycow's titles... Powerglove? No, it looks like Monsters Of Terror. ...totally wasted, move along people.